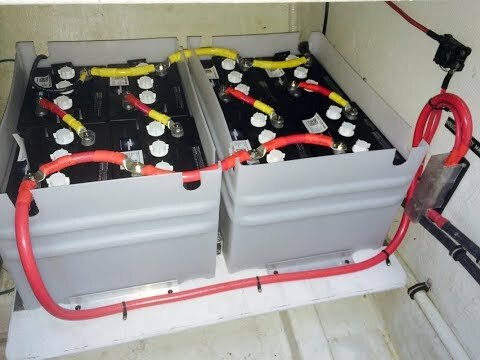 You have probably heard that it is bad to mix battery types and ages in a single bank, but you may not know why. A simplified answer is that the stronger batteries will always be charging the weaker batteries. This is true, but let's take a closer look at this problem. In order for batteries to be able to deliver or accept large currents, they have to have very low internal resistance (aka impedance). This is because the higher the internal resistance a battery has, the hotter it gets when it is driving large loads or is being bulk charged. 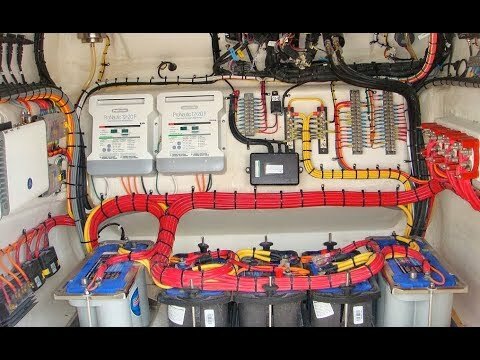 A typical marine battery will have an internal resistance around 0.005 Ohms. 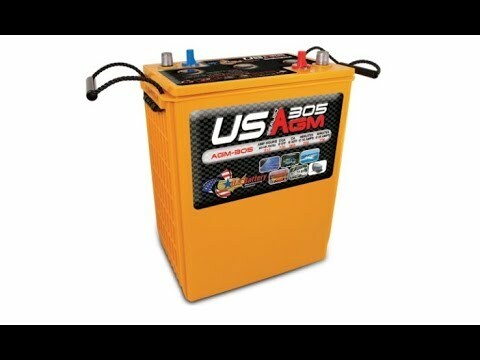 When you have batteries of different types or ages, they will have slightly different resting voltage levels. They also charge and discharge at different rates. Herein lies the problem. 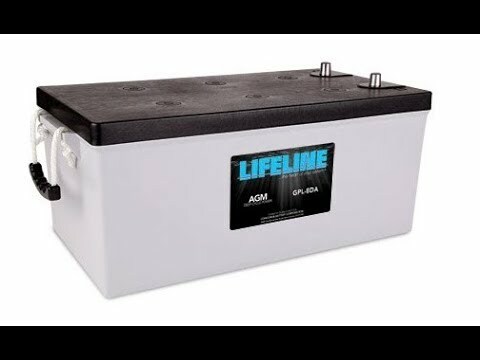 Say you have one new battery (which has a resting Voltage of 12.6 Volts) and one older battery (at 12.5 Volts). Not much of a difference right? 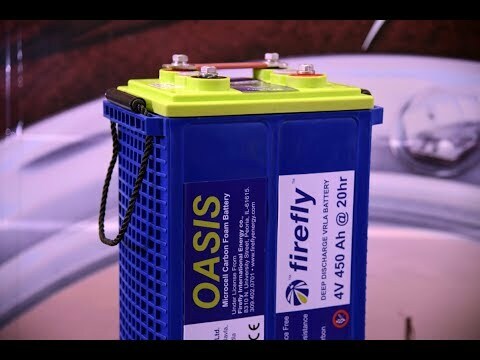 But, if one battery is 0.1 Volt lower than the other when they are connected in parallel, energy from the higher voltage battery will flow into the lower voltage battery. How much energy? Well here is the formula. I (current) = Volts/(Resistance of two batteries) = 0.1 V / 0.010 Ohms = 10 amps! Now, in this case since the lower voltage battery cannot hold 12.6 volts, because of age or type, current from the high voltage battery will flow, trying in vain, to charge the lower voltage battery until it too reaches 12.5 volts. 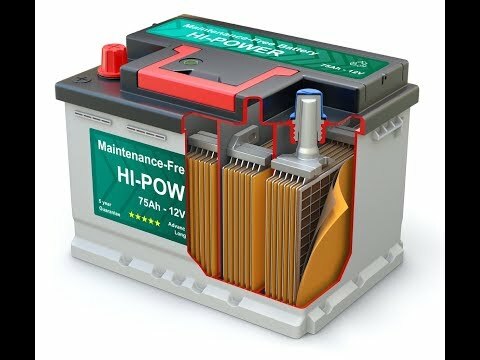 The extra capacity of the new battery is quickly wasted to heat because of the older battery. 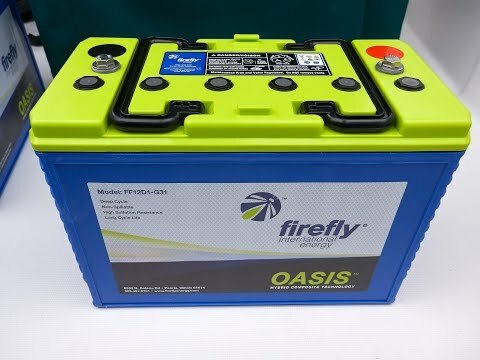 Also as the batteries cycle through charging and discharging, since they will have different charge and discharge profiles, they will be fighting each other constantly and capacity will be wasted. The higher volt battery will be trying to charge the other the lower voltage battery, but in the end the energy is just lost. This can especially be a problem when combining batteries. If the lower battery is 11.6 volts and the higher battery is 12.6 volts, the resulting current when the batteries are combined can be 100 amps! The same thing happens when you jump start a car. Both should really only be done in an emergency.